Thank you to all the parents who have already turned in their child's shot record! Please be reminded to the parents of 7th graders who have not turned in their updated shot records. 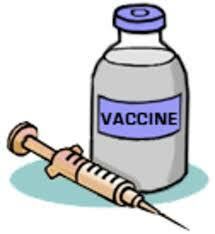 Proof of receiving Tdap and Meningitis needs to be received by Sept. 13 for all seventh graders or your child may be excluded from school. This will be counted as an unexcused absence. If you have not made your appointment yet, make it now and let the School Nurse know when your appointment is scheduled if it is past the due date.